A law enforcement officer shot a motorist following a chase in southeast Iowa late last night. 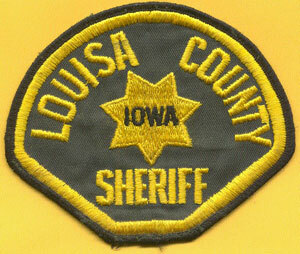 Sheriff’s deputies in Louisa County tried to pull over a vehicle for traffic violations around 11:40 p.m., but the motorist failed to stop, according to information released by the Iowa Department of Public Safety. The motorist, 55-year-old Richard Spurling of Muscatine, eventually stopped at an intersection, but as deputies approached his car, Spurling drove his vehicle toward one of the deputies. That’s when the deputy fired a shot and Spurling was struck in the upper torso. He was taken to a hospital for non-life threatening injuries. No deputies were injured. Spurling is facing charges of OWI, eluding, driving while revoked, possession of drug paraphernalia, and five traffic offenses. The shooting will be reviewed by the Iowa Division of Criminal Investigation. The names of the deputies involved, for now, are not being released.